Today was our first full day at the Beach! 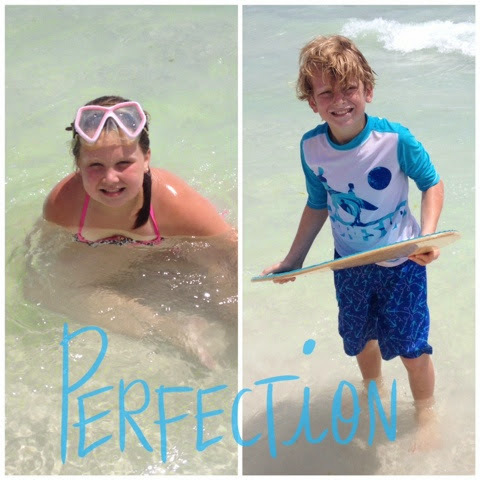 The weather was perfect, the water was beautiful and the kids had a great time playing in the water, jumping waves, playing in the sand, looking for seashells, & riding the skim board! It was a great day at the beach! Today was another beautiful day at the beach! We spent the day hanging out at the beach and then came in to get dressed and head out to dinner! 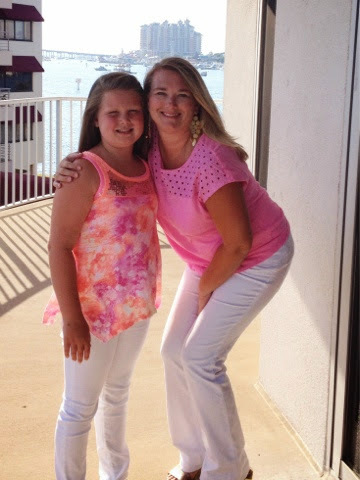 Brylee wanted me to wear my white jeans like she was and a pink shirt too so I did! We enjoyed dinner at Fudpuckers & played arcade games too! Friday, July 18th: Daddy made it to the Beach! The weather man and apps showed 100% chance of rain today so we decided to not brave the pool or beach and go to Seaside for the day! It was a great decision! We all enjoyed walking around looking in all the shops, eating lunch at the silver airstream food truck vendors, & getting ice cream too! 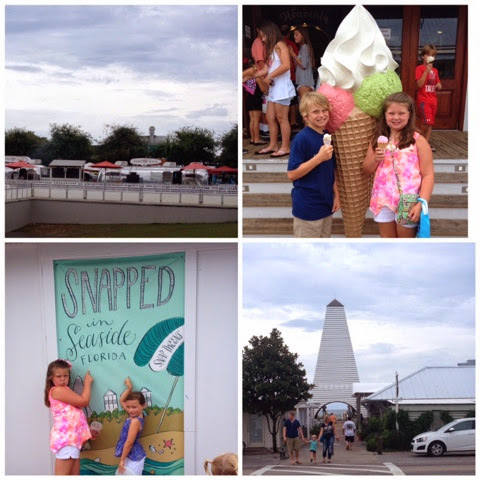 Seaside is just the best and sweetest little town! If I was a millionaire I would love to live there! I would also love to rent a house and stay there for a week on vacation too! Maybe one day! However, the weathermen were way wrong it was not 100% chance of rain infact it only sprinkled a few times so we headed back after our fun day at Seaside to swim and hangout by the pool! 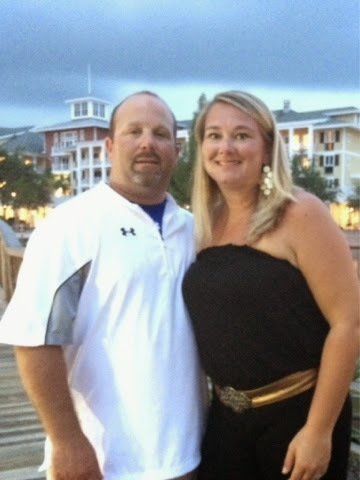 Tonight was our last night at the beach! It was back to reality on Monday! Boo hoo! 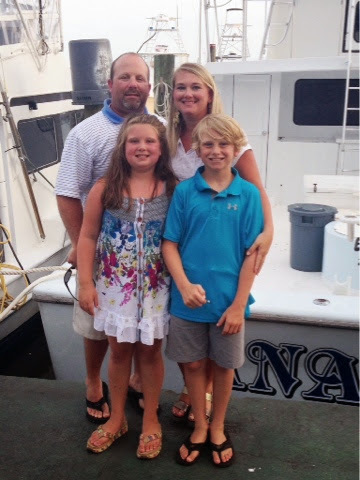 It is never fun to leave the beach but we had a wonderful time at the beach and I am so thankful for the time I got to spend with the kids at the beach and the time we spend together as a family and the memories we made with the Bailey's! It was such a blessing to be able to just get away from life and enjoy time together at the beach! It is by far my favorite week of our summer! No beach trip is ever complete without some friendly go cart competition. 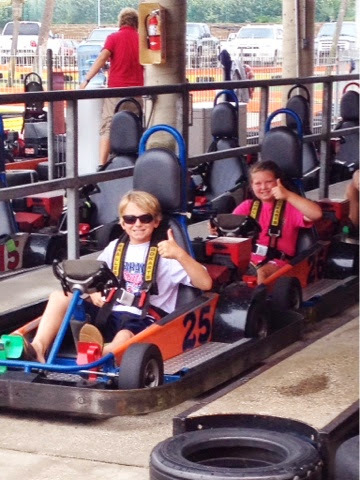 Before we headed out of town we went to The Track and let the kids ride go carts and play video games! They have been riding go carts since they could walk! It's a beach must do and memory for sure!!! Tuesday, July 22nd: 4th grade teacher card!!! Well, it was back to reality today!!!! Brylee came back from the beach with an eye infection so we spent almost 3hrs at the eye dr and pharmacy getting her eye checked out and getting her meds! Thankfully she seems to be ok! 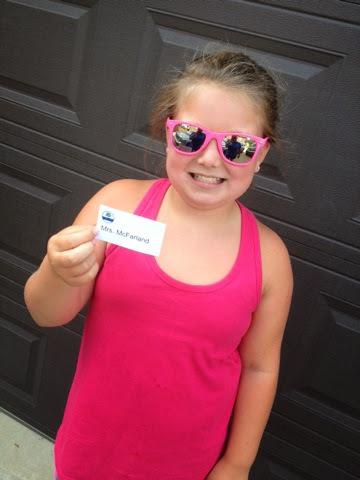 However, the highlight of the day was school registration and she got to find out who her teacher for 4th grade will be! She is so excited to have gotten Mrs. McFarland who swaps with Mrs. Ramsey who is one of our friends! She is most excited to get both of these lovely ladies!!! It was "just who she always wanted"!!! LOL!! !